You don't have to deal with a troublesome roof any longer. The team at Clarkston Roofing Professionals can help you with all your roof concerns! 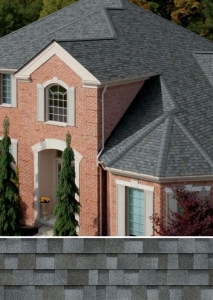 We have been providing roof installation & repair services to Rochester Hills MI and have gained quite the reputation for being the best in the area. Our contractors have the experience and skills needed to repair any roof damage. We provide our clients with a no-obligation inspection. This means we come to your home and assess your roofs condition and will educate you on the services we provide. We then are able to provide you with honest advice on if a repair would be a good choice for your home or business or if a new, premium roof installation is a better choice. Our team believes in providing quality material that will add value to your home while giving it superb curb appeal. Our team of professionals not only can install premium roofing systems, we also have offer restoration services. Don't worry about your insurance and leave everything to us. We work with your insurance company through the whole project to make sure everything is covered correctly. 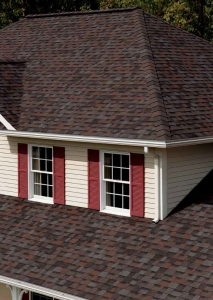 Clarkston Roofing Professionals offers Owens Corning products at the lowest prices in the area! A roof from Owens Corning material will add dimension and contrast to your roof while keeping your home secure and safe in order for long-lasting protection from outside forces. We're able to work on any roof! Our roofs can be adjusted to fit any dimension of homes and business or any size. We provide a variety of colors that will compliment your home and give it the curb appeal it deserves. We want what's best for your the value of your home, that's why we provide the highest-guality product in the market. Whether for a home or business we will take care of your roof or re-roof from beginning to the end, being present during the whole project! Whether your roof is old or suffereing from damaged or loose shingles, when you need to replace it you will want the best materials, workmanship, and service which is why Clarkston Roofing Professionals in the recommended choice. We treat all of our projects as if it were our own homes and believe in providing a valuable experience to our customers. If your home or business is suffering from a leaky roof or damaged shingles, we're the roofing contractors for the job! We not only install premium roofing systems, we also are a restoration company. We can perform any repair you may need while keeping your original look to your property. We will provide a free estimate while assessing your property and educate you on what repairs need to be made in order for you to preserve the safety and security of your home or business. Clarkston Roofing Professionals is a team of contractors who are professional, certified and licensed to carry out your roofing repair project efficiently and effectively while making the project complete as quickly as possible in order for you to get back to the comfort of living in your home. We ensure you a breezy, worry-free experience when you work with us. Our team works with your insurance company throughout the entire process. Whatever situation you might have we are able to save you the headache when it comes to insurance. Leave everything to us, we're experts at helping you understand the process. We're happy to work with you, adjusters and insurance companies. Our reputation is high in the insurance industry and will do everything in our power to handle your claim as quickly as possible. Clarkston Roofing Professionals can handle any Roof Repair you may need. Our mission is to provide the best experience while going through this project. Be sure to contact us with any questions or concerns you may have. Send us a message & we'll get back to you soon! Financing Available. Free Estimates/Inspections. Lowest Price on Owens Corning Products - Guaranteed. We're honest, transparent and everything we provide comes with the best prices and highest quality materials. The contents of this webpage are Copyright © 2019 Clarkston Roofing Professionals, Inc. All Rights Reserved.